Basler Aptina 0134 flatness measurements | Michael Hirsch, Ph.D. 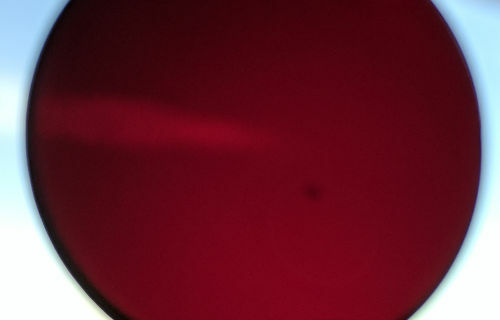 These measurements were each taken with a C-mount size deep red filter inserted, held by hand on a LED diffuse source. Three measurements were taken for each camera, rotating the filter and camera to help eliminate flatness issues with the diffuser. Due to noise in the images inherent to the 100 ms exposure, a smoothing filter was used. 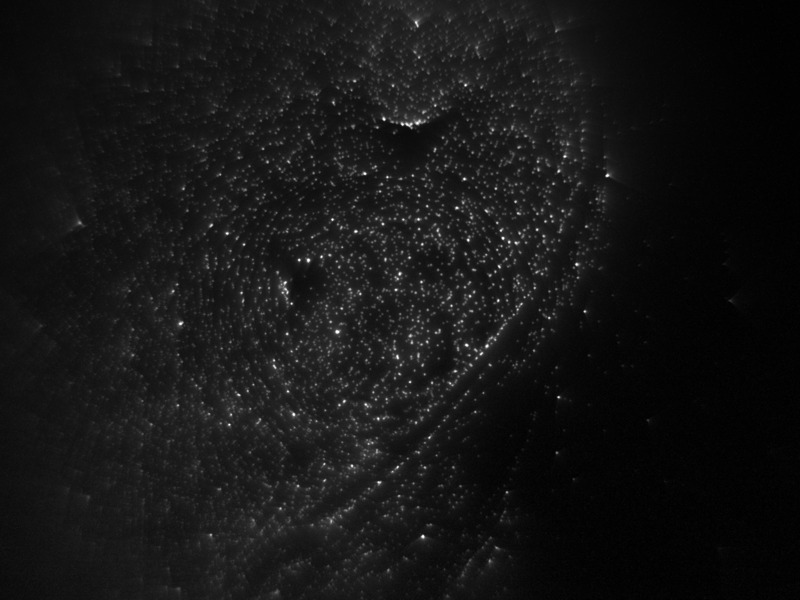 Deep-red filter used to attenuate flatfield source into broadband imager. The Basler Dart with Aptina 0134 chip was measured in 12-bit and 8-bit mode. Due to time constraints, the Sumix demo program was used, which only has 8-bit output to file, despite the Sumix camera having 10-bit output available. It was found that half the 6 um bead slides at 0.02% concentration had defective preparation, and were discarded. The remaining slides are also somewhat defective, but have enough “good” beads that our cell nucleus detection algorithm picks them out. Blue excited fluorescence measurement with Polysciences #23519 6 um beads at 0.02% concentration.